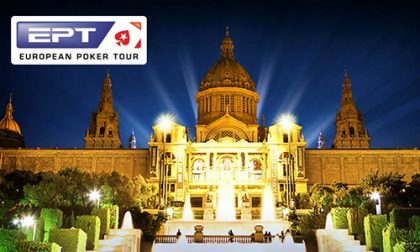 Tax authorities in the Spanish province of Catalonia are continuing back-tax collection efforts against top finishers in recent years from one of Europe’s largest poker festivals, the European Poker Tour (EPT) Barcelona. News of the extended tax-clawback effort was broken by German poker-discussion forum PokerFirma after a well-known German pro, Hossein Ensan, forwarded at least one of the Spanish back-tax demands to the site. In Ensan’s case, the claim by the Dependencia Regional de Gestión Tributaria de Cataluña (Regional Tax Management Unit of Catalonia) is believed to be a double-taxation situation, since Ensan already paid taxes in Germany on his six-figure payday in the 2014 EPT Barcelona main event. According to PokerFirma and others, the tax-grab effort by the Catalonian agency has targeted numerous German pros, and may also have already been extended to prominent EPT finishers in other European countries as well. The Regional Tax Management Unit of Catalonia is responsible for taxes on earnings generated in Barcelona, the province’s largest city. Due to the possible double-taxation nature of the case involving Ensan, Catalonia’s sweeping clawback effort could represent an existential threat to major international poker events being hosted in Barcelona, if not all of Spain. PokerFirma’s brief piece on Ensan’s situation also included an image of the tax demand from the Catalonian tax agency (at right, click to enlarge), which shows the demand for a total of €235,433.67 (today about $273,000). That amount includes an initial tax assessment of €214,643.67 on Ensan’s €652,667 third-place payday in the 2014 event, plus an additional surchage of €20,790, assessed on the alleged overdue account on July 25. Ensan appears to have taken the matter public after receiving this latest bill, while also claiming that he’d already paid about €280,000 in taxes in Germany on the big win. Germany and Spain do have a series of reciprocal-tax treaties that are designed to prevent double-taxation issues, and while those laws have been changed several times over the years, they date at least as far back as 1966. However, winnings from gambling in general and poker in particular are treated differently in the countries, contributing to the situation. Ensan’s €652,667 (about US $860,091) cash was part of a partial three-way chop in 2014 EPT Barcelona main; that deal also included American pro Sam Phillips and another German player, Andre Littau. Littau has not publicly disclosed whether he, like Ensan, has been targeted by the Catalonian authorities over his 2014 EPT Barcelona win, but the PokerFirma piece cites Spanish pro Dragan Kostic as also being part of the Catalonian clawback. Kostic, like Ensan, had a huge EPT cash, though Kostic’s was way back in 2011. The PokerFirma report also asserted that “several German-speaking players” have acknowledged being contacted by the Catalonian tax agency, but appear to not want to be publicly identified. The feature also drew extensive commentary from many of Europe’s high-profile, traveling poker pros, with allegations that players in other European countries also may have received the back-tax demands. The evidence offered by Ensan to PokerFirma appears to indicate that the Catalonia demand was made in 2017, and it continues what appears to be a years-long effort by Spain’s tax authorities to go after all sorts of poker-derived income. It was just a few months ago that we reported on the sad case of Spain’s youngest-ever chess grandmaster, Francisco Vallejo Pons, who in 2016 was hit with a similar back-tax demand for roughly a half million euros. The Pons case was farcical, as it was determined that he was an overall losing online player, but the attempted back-tax grab was assessed against the total of his wins without any writeoff being allowed for his losses (buy-ins). Later in April, following a bit of public uproar over his plight, Pons Tweeted that some sort of tax-relief deal had been reached, though he did not offer further detail. Whether something like that happens with the poker pros — largely those who have posted major EPT Barcelona scores — is currently unknown. The whole situation is likely to have a dampening effect on future EPT Barcelona series, and surprise, surprise, the 2018 iteration of that prominent EPT championship is just getting underway. While a lot of the commentary in the PokerFirma piece amounts to fear-mongering, including one especially wild claim that Spanish police are waiting for international players, thus to throw them in jail for years, there’s still a real problem here. Using the Ensan situation as an example, it would be ridiculously unprofitable for prominent international pros to play any event in Spain if there’s even a suggestion that double taxation could occur. If Ensan indeed paid €280,000 in German taxes and is still on the hook for another €235,000 or more in Spain, that’s at least €515,000 of a €652,667 payday gone to governments, or roughly 80% before expenses. No right-minded pro would consider participating in these Spanish events if that continues to be the situation. This is one of those situations that bears close watching, and players around the world should hope that Ensan and other affected players come forward with further developments, whether they’re good news or not.